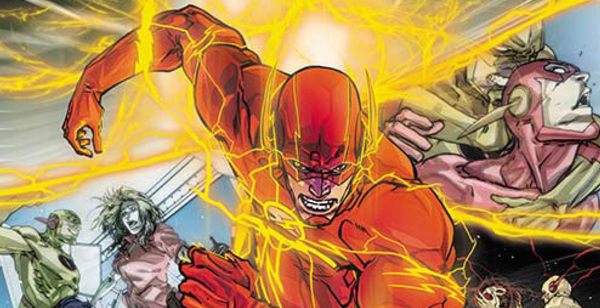 Today, Scott and Shelby are discussing The Flash 26, originally released December 31st, 2013. Scott: I recently watched the first episode of BBC’s Sherlock. After just a few minutes it was clear that the show is awesome- compelling characters, great acting, cool editing, etc. Then, something strange happened: halfway through the episode, I lost interest. I couldn’t figure it out; I had enjoyed everything about the show so far, but I couldn’t keep my head in it. It dawned on me that the show wasn’t following a typical format. The 90-minute episode is the length of a feature film, but with the slowly developing characters and relationships you’d expect from a new TV series. There’s nothing bad about the episode, it just doesn’t fit with what I’ve been trained to expect from a TV show. The beats were coming in the wrong places. 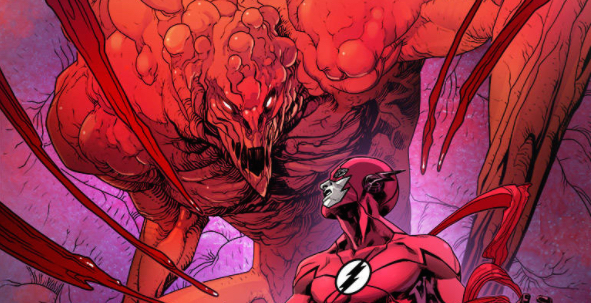 I had the same feeling about The Flash 26. A stand alone issue of Flash? Something doesn’t seem right.